RUST Player Resources, Communities, Forums, Tools, and links. This page is dedicated to providing an extensive list of high quality RUST player resources found across the net, all in one spot. If you find a link has broke or if you provide RUST player resources and would like to see your link up here, please reach out to us. https://playrust.com – The RUST Experimental website. https://rust.facepunch.com/blog – The RUST Experimental Blog. https://rust.facepunch.com/roadmap – The RUST Experimental Roadmap. https://twitter.com/playrust – The RUST Twitter. https://twitter.com/rustupdates – The RUST Updates Twitter. https://www.facepunch.com – Developers of RUST Experimental. https://twitter.com/fcpnchstds – Face Punch’s Twitter. https://rust-servers.net – Find the best Rust servers with our multiplayer server list. http://toprustservers.com – Find the best Rust servers with our multiplayer server list. Browse detailed information on each server and vote and discuss. http://topg.org/rust-servers – Rust servers top 100 list ranked by votes, version, type and location. Add your own gaming server for free to get more players. https://www.gametracker.com/games/rust/ – Rust server list, search RUST stats, rankings, and banners. http://beancan.io/servers – RUST server list and more. https://just-wiped.net/ – RUST Server list, featuring servers that have just wiped. Rusty Noobs – A tight knit community server that follows the monthly forced update schedule. Learn the game with a helpful and friendly(ish)* community of awesome people. *friendly(ish) implies that the people are generally helpful and nice. They will still shoot you. https://rust.facepunch.com/f – The Official RUST Experimental Forum. https://steamcommunity.com/app/252490/discussions – Steam’s RUST Forum. https://www.rustaforum.com – Rustafied Server’s Forum. https://www.gametracker.com/games/rust/forum.php – Game Tracker’s RUST Forum. https://forums.multiplay.com/rust – Multiplay’s RUST Forum. http://oxidemod.org/forums/rust-discussion.23 – Oxidemod’s RUST Forum. https://www.survivalservers.com/forum/index.php?/forum/25-rust – Survival Server’s RUST Forum. https://www.elitepvpers.com/forum/rust – Elite PVPers RUST Forum. https://moose.gg/forums – RUSTY Moose Forum. https://reddit.com/r/playrust – RUST Reddit community, the most popular source for RUST information. https://reddit.com/r/playrustadmin – RUST server admin community, great RUST server. https://reddit.com/r/playrustpublic – Reddit’s official RUST server. https://reddit.com/r/playrustservers – Advertise a RUST server on Reddit. https://reddit.com/r/playrustlfg – RUST LFG (looking for group), find other RUST players to group up with. https://reddit.com/r/playrustcirclejerk – RUST Circle Jerk, little bit of everything here. https://reddit.com/r/fortify – A RUST building simulator for testing RUST base designs. http://rust-stats.com – Rust stats – site, where you can check out and share any players Rust game statistics. https://www.battlemetrics.com/servers/search?game=rust – Search a database of 72,302 public servers, view server history, or keep tabs on your favorite servers with alerts and your own custom dashboard. https://www.rustmonitor.com – Check Rust “vital signs” at a glance : numbers of players and servers online, most active developers and fun stats. All sorts of statistics and IP address of the game servers. A list of all Rust Official servers too. https://rustlabs.com – A reliable database for the video game, Rust. 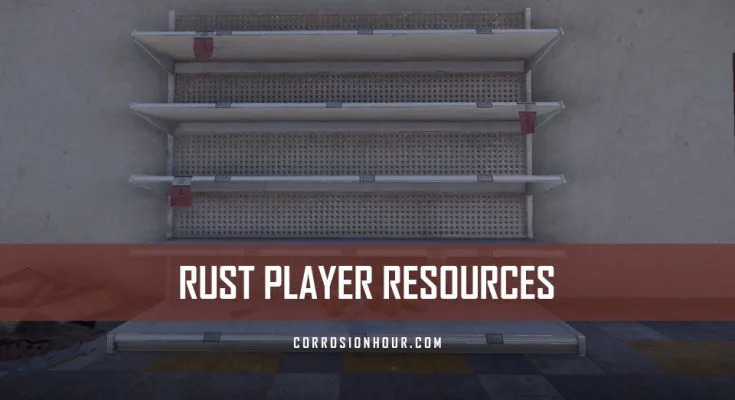 It provides weekly updates and helpful tools for items, skins and anything related to the Rust world. https://www.rust-items.com – Rust Item Database with all the rust items including admin shortName. http://www.xtab.me – A RUST Skin creator and review site. https://forum.pluton.team – Pluton is modding framework that allows server managers to use plugins on the survival game from FacePunch Studios, Rust. https://www.rustadmin.com – RustAdmin is a powerful RCON client for RUST. http://rcon.io – RCON:IO is a web-based client-side admin tool for Rust server owners. https://myrustadmin.com/en – The most advanced cross-device Rust Administration Tool. http://bbtracker.net/rusty – Rusty is an rcon administration client for Rust. https://gameservers.com – When you combine 100% Dual Quadcore servers with a premium worldwide network, you get GameServers.com. Go ahead, raise your expectations. https://gameserverkings.com – A leading provider in game server hosting services. Be sure to also check out their Rust Knowledgebase. https://rustyrecoil.com/ -Rusty Recoil is the only Rust aim trainer for browser. Train your AK spray from anywhere!